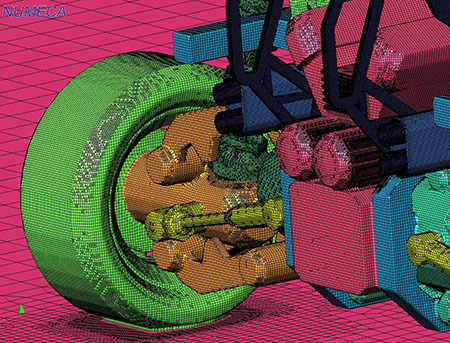 HEXPRESS?/Hybrid is the latest of NUMECA's meshing tools designed for meshing complex geometries starting from unclean CAD data. The tool produces unstructured hex-dominant conformal meshes in parallel, including high quality viscous layers. The integrated automatic wrapping technology and the HoleSearcher allow the user to avoid the time spent on CAD cleaning and repairing, thus significantly reducing the engineering time spent on the generation of a mesh. Can mesh thin-surfaces (heatshields, exhaust pipes, etc).